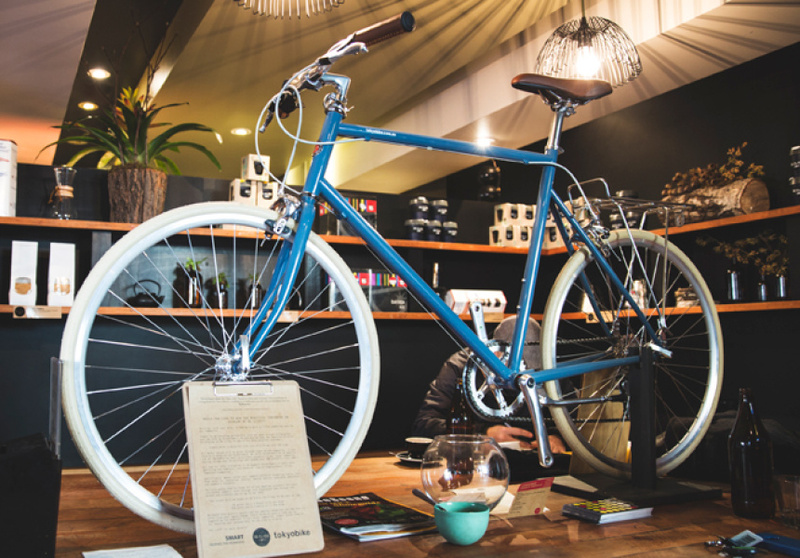 De Clieu’s new owners are moving towards a more community-minded business, starting with a Tokyobike giveaway for a good cause. 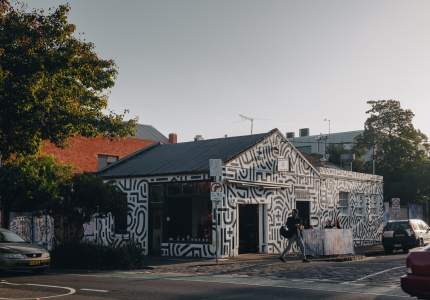 Since changing hands earlier this year, Gertrude Street local De Clieu has quietly been heading in a new direction towards more community involvement. 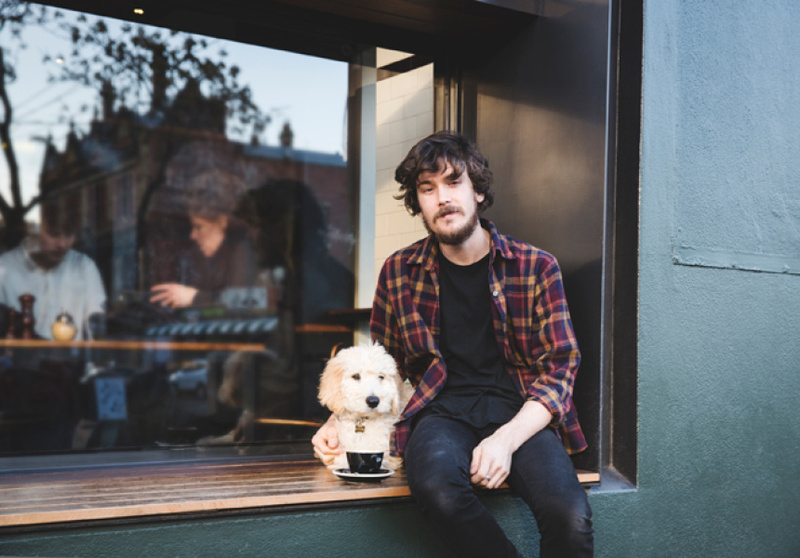 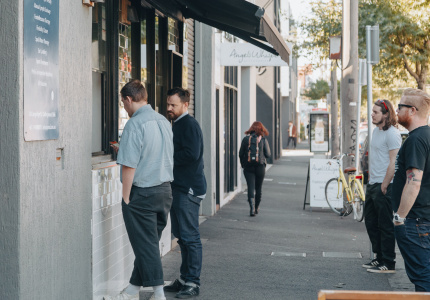 Currently, the cafe is partnering up with fellow Collingwood shop Tokyobike as part of a fundraising initiative for StreetSmart, an organisation that provides support to the homeless. 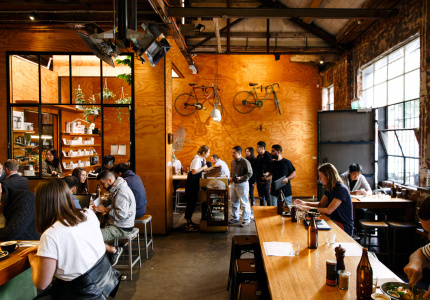 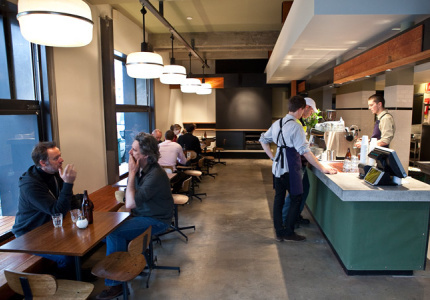 This month De Clieu customers are invited to go in the running to win a Tokyobike bicycle (currently displayed on a communal table), by giving a donation to StreetSmart along with their bill. 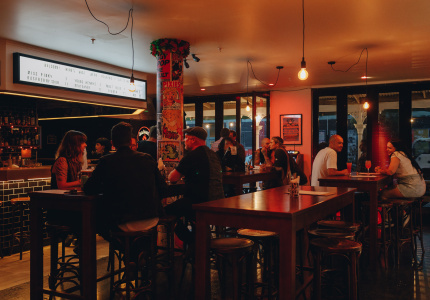 Any donation is accepted, but a $5 donation gives the customer one entry in the draw, while $10 gets three entries. 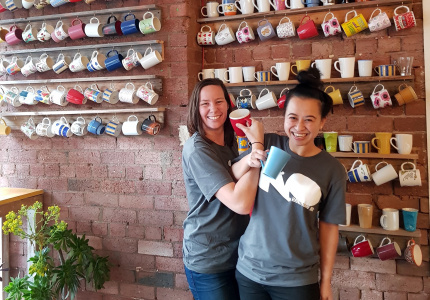 All of the money raised will go to StreetSmart to support grassroots projects dealing with issues including food security, education, substance addiction, domestic violence and more. 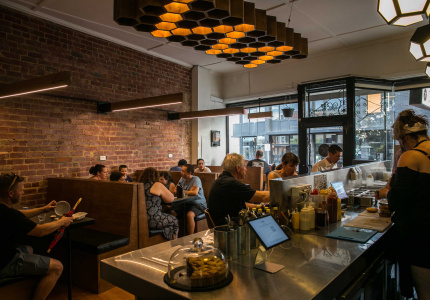 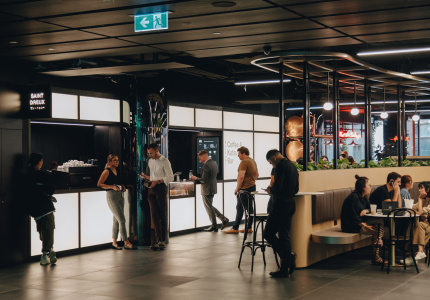 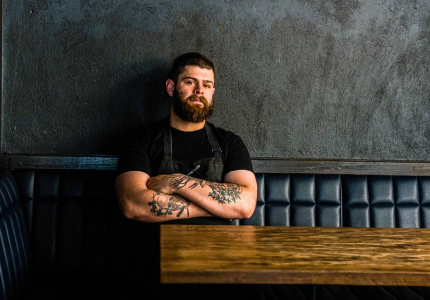 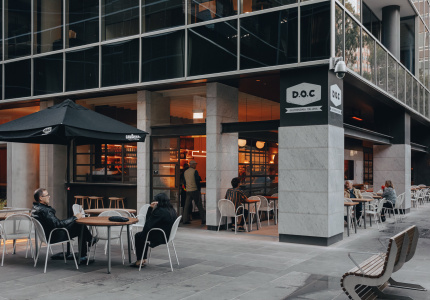 In February, original owner and Seven Seeds’ chief Mark Dundon sold the popular cafe to Terry Orfanidis, who takes on the role of silent partner in the business. 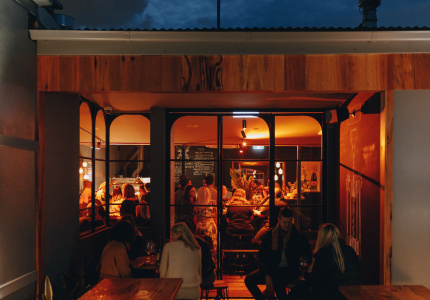 So with a few changes under the new management, De Clieu is as much the bustling hub as it ever was, and there are no signs of slowing down. 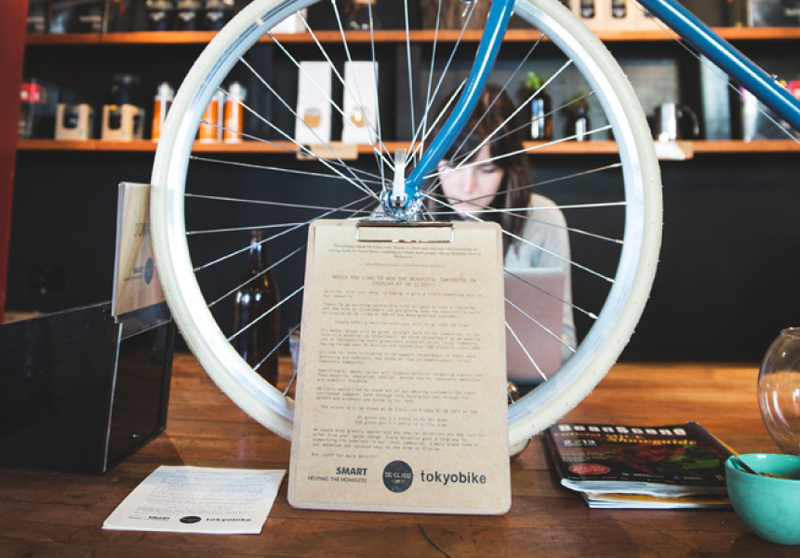 The winner of the Tokyobike competition will be drawn on Friday 2 August at 1pm. 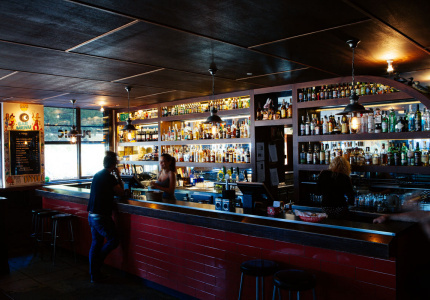 For more information on StreetSmart, click here.